Valk, Ulo. The Black Gentleman: Manifestations of the Devil in Estonian Folk Religion. Folklore Fellows Communications, vol. 276. Suomalainen Tiedeakatemia, Academia Scientiarum Fennica, Helsinki, 2001. x + 217 pp. Appendices. Abbreviations. Bibliography. Price unknown. THE majority of studies on the devil have been written almost exclusively from a mono-disciplinary perspective, which has resulted in a disparate collection of monographs by historians, anthropologists, theologians, sociologists, and ethnologists, who have placed the figure of the devil within their own particular contexts and chronologies. In The Black Gentleman: Manifestations of the Devil in Estonian Folk Religion, Ulo Valk controversially weaves together descriptions of the devil from Estonian nineteenth and twentieth century folklore, early modern demonography, and confessions found in seventeenth century trials for witchcraft to present an interdisciplinary comparative study. The Estonian material is contrasted with similar Lithuanian, Russian, and Finnish sources, whilst Stith Thompson’s Motif-Index of Folk Literature. A Classification of Narrative Elements in Folktales, Ballads, Myths, Fables, Medieval Romances, Exempla, Fabliaux, Jest-Books and Local Legends, (Vols 1-VI, 1955-58 Copenhagen) provides the background through which to introduce a wider range of European and American material. This book is a ‘slightly revised version’ (p. ix) of Valk’s doctoral dissertation and was published in Estonian in 1998. He argues effectively for locating Estonia’s tradition of the devil within the West European context of demonology and folklore, proving that it is genetically part of the European Christian tradition. ‘Since the devil essentially belongs to Christianity, the Finno-Ugric background and parallels with kindred peoples are of secondary or even tertiary importance’, asserts Valk (p.18), by-passing an argument which would have benefited more from a better exegesis of this theory than from comparisons with Indian and twentieth century American examples. However, this reflects Valk’s expertise in folklore, literature, Indology, and the Estonian witchcraft persecution, which has proved to be both a strength and a weakness. Opinions differ as to the wisdom of basing comparisons on such an interdisciplinary and broad chronological basis. The result is a wide-ranging survey that finds the reader swiftly moving between the early modern period, and the nineteenth or twentieth centuries, which can be rather disconcerting. The benefit of this type of approach is that the book appeals to a much wider audience, and linguists, historians, anthropologists, ethnologists, and folklorists will all find something of interest. Statistical tables based on 1723 texts detail how the devil was reported to have manifested himself as a man, a noble lady, a clergyman, an elk, a pike, a hayrick, or even a needle without an eye, according to legend, memories, confessions in witchcraft trials, and various belief systems. This empirical approach allows a swift and practical comparison of information and the mapping of the chronological and geographical spread of concepts. It emerges that in contrast with classic accounts of the devil displaying an amalgamation of animal traits, found in demonology, he predominantly appeared as the eponymous black gentleman. Valk discusses the anthropomorphic (58.9 per cent of manifestations), zoomorphic (20.8 per cent), and fantastic (15.2 per cent) manifestations of the devil, as well as accounts of incidents where he is described as an inanimate or natural object (4.4 per cent). He examines the devil in the context of metamorphosis and delusional experiences, and pays great attention to onomastics. This allows an insight into the role of the devil in various spheres, whether in a simple account of a meeting, or as post-event recognition. The increase in such events, argues Valk, points to the prominence of the devil in Estonian beliefs. Popular misconceptions of the devil are shattered, as he is portrayed primarily in a didactic, almost pastoral role, warning people of the evils of dancing, drinking and playing cards or in contrast, encouraging suicides. The primacy of the cat as the companion of the devil is also proved fallacious, as the data shows a higher frequency for the appearance of the dog. The most common images of the devil have originated in the literal demonization of those who were figures of fear, and for peasants that was undoubtedly the gentleman, or quite frequently in Estonian sources – the German landlord. 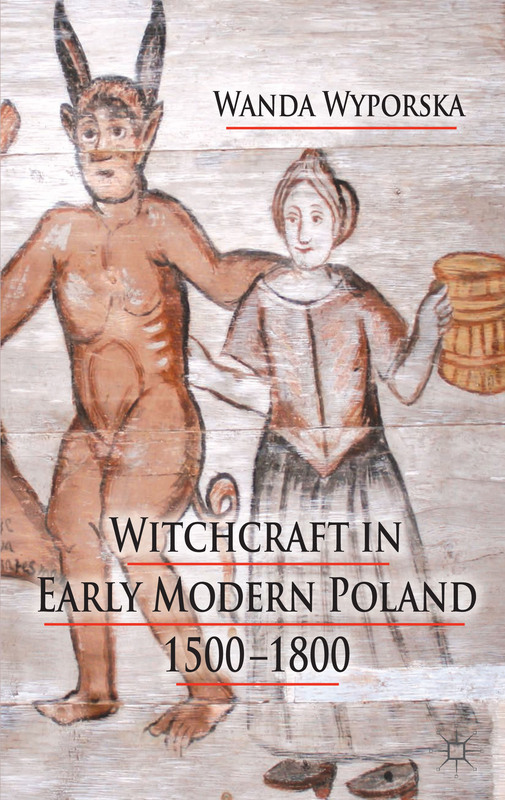 In sum, whilst offering a broad canvas of empirical data on the devil from a variety of Estonian sources, one cannot help but conclude that the book ought to have been expanded to include more information. For example, the author comments that the devil appears in almost all seventeenth century sermons (p. 11), but does not pursue that particular line of enquiry in depth. He admits that he did not include accounts of the devil in fairytales, but includes entertainment legends, which ‘can be interpreted as fairytales’(p.18). Although purists may find the methodology a little unconvincing, this work represents the recent trend towards interdisciplinary analyses, and provides a refreshingly different approach. Thus it appeals to a wider audience than those interested merely in Estonia or in folk religion.